Photograph of an unidentified girl. 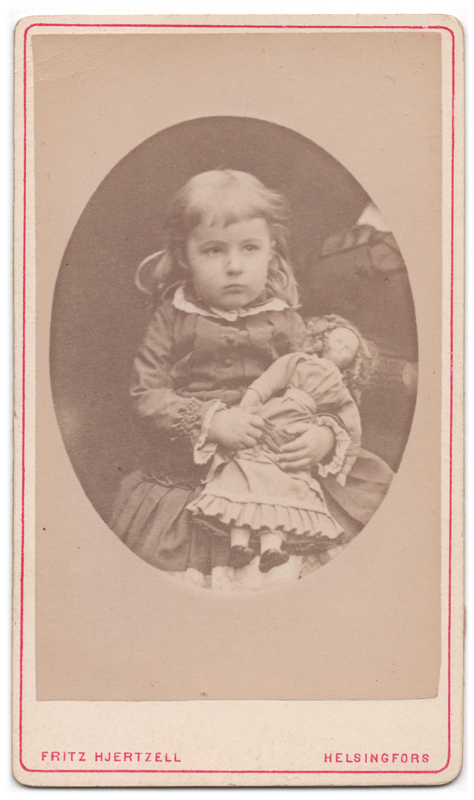 The child is holding a doll in her arms. This photograph also has one of the most delightful backs I have seen: just look at that subtle pattern of different kinds of insects! 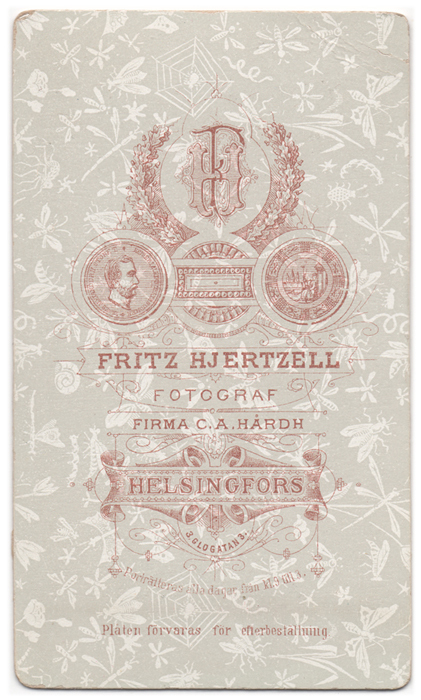 The photograph has been taken by Fritz Hjertzell in Helsinki, Finland, possibly at some point during the 1880’s (I’m not absolutely certain, though).